Now Available at a Bookstore Near You! Yes, the day has arrived! Want a chance to win a free copy? Tuesday on the Novelspotters e-loop the anthology authors will be giving away a copy. And if you're not a member of my newsletter group yet, sign up before the end of the month to be eligible to win a copy signed by me, as well. In any case, I probably won't be posting regularly until after mid-December, but I will do my best to get something up at least once a week. In that vein, I wanted to share what has to be my current favorite review. I just found it online a couple of days ago, and I still haven't stopped grinning. It's from Cupid's Library Reviews , and I got four Cupids each for plot and romance, which is awesome. But here's the part I loved: the reviewer finished the review with the comment, "This story is like a grown up version of the movie Sixteen Candles with a very touching and every lady's fantasy happy ending." See, I'm a child of the eighties. I luuurved that movie -- actually, I luuurved all of John Hughes' movies. And I'm just tickled to have my book and Sixteen Candles mentioned in the same paragraph. 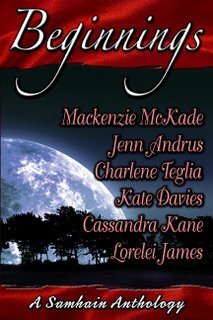 This has actually been a great week for reviews for Strip Tease as well: 4.5 Blue Ribbons from Romance Junkies; Red Hot! Read from RRTErotic; and 5 stars from eCataromance. Question of the week: What's your favorite "teen" movie? What movies and actors did you love when you were in high school? I know it's a little hard to see on here, but the Ritual Love cover is second from the right. Woo-hoo! Okay, so I'm a bit goofy. But RT is a very big deal for a lot of romance readers and writers. To have my name, my book cover, actually in it is, well, huge. I'm totally chuffed. 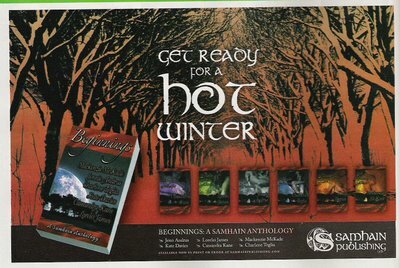 And I'm absolutely thrilled that my publisher supports the anthology enough to place an ad in RT. That means the world to me. 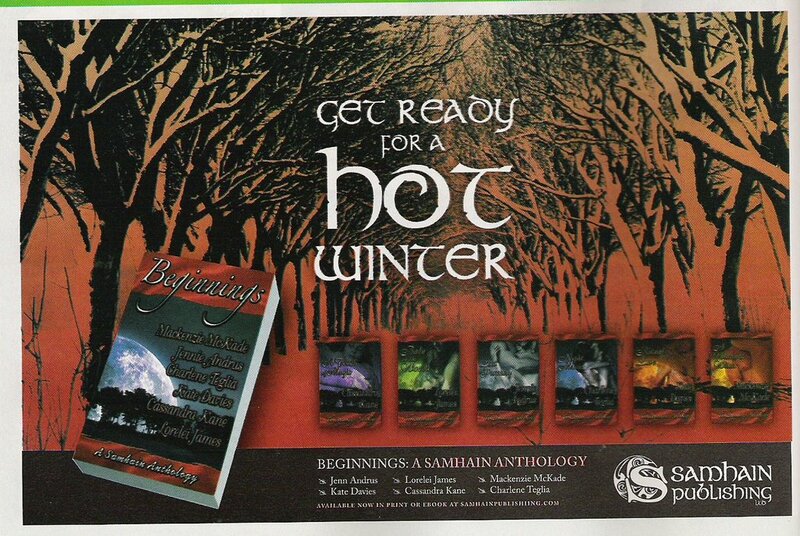 Samhain rocks!